Waymo, the self-driving car company owned by Google parent Alphabet, has produced a new 360-degree video to show how its cars read the world around them, and exactly what it's like to ride in one with nobody in the driving seat. The 360-degree video was published to YouTube on February 28 and can also be viewed in virtual reality with a Google Cardboard or Daydream headset - or any VR device which can access YouTube. 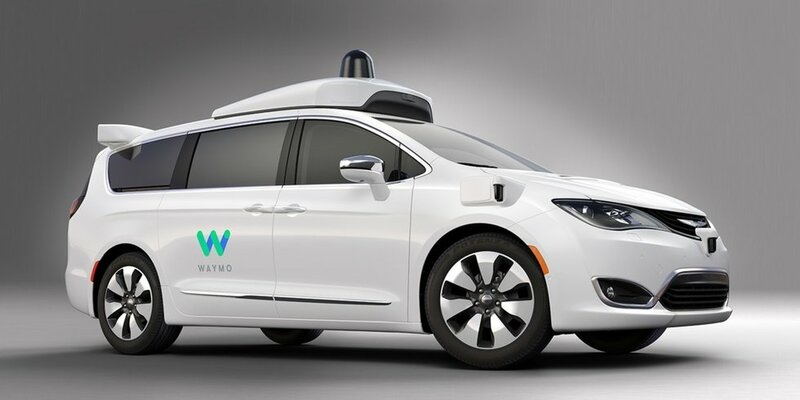 Waymo published the video and a corresponding blog post to celebrate its autonomous vehicles crossing the five million mile barrier. Waymo began as a Google project in 2009 and took six years to complete its first million self-driving miles on public roads. The acceleration of miles covered by Waymo's vehicles since then is impressive. Waymo says its fourth million miles took six months, and its fifth took under three months. Today, the company says, its fleet of autonomous cars is driving as many public miles in a day as the average American adult drives in a whole year. Waymo said: "We're driving more and learning faster, and we're doing it in increasingly diverse conditions. We've now test driven in 25 US cities, gaining experience in different weather conditions and terrains: from the snowy streets of Michigan, to the steep hills of San Francisco, to the desert conditions of Greater Phoenix. And because the lessons we learn from one vehicle can be shared with the entire fleet, every new mile counts even more." As well as millions of physical miles, Waymo also uses simulators to cover vast distances in the virtual world - amounting to some 2.7 billion digital miles in 2017 alone, the company says. The 360-degree video published this week combines footage and real-time data from a trip around Metro Phoenix, Arizona in one of Waymo's Chrysler Pacifica hybrid minivans. The video shows how the van 'sees' all other vehicles around it, calculates their distance, speed, direction and estimated trajectory. It also identifies cyclists and pedestrians, and reads traffic lights. It can do all of this in every direction and at a distance the same as three football fields. There's also a making-of blog post explaining how the 360-degree footage was captured. Waymo began testing cars with no safety driver on public roads in Phoenix in November 2017 and published a demonstration video the same month. Looking to the future, Waymo said in November: "We can reimagine many different types of transportation, from ride-hailing and logistics, to public transport and personal vehicles, too. We've been exploring each of these areas, with a focus on shared mobility." Unlike Tesla, which has its own dreams of full autonomy, Waymo is not interested in selling its vehicles to consumers. The California company said: "By giving people access to a fleet of vehicles, rather than starting with a personal ownership model, more people will be able to experience this technology, sooner...it'll be safer, more accessible, more flexible, and you can use your time and space in the vehicle doing what you want."